I was voted Quad-Cities Favorite REALTOR® because I care about helping people with their Real Estate needs! Relocations, Military Transferees, First Time Home Buyers, and New Construction are my specialties! If you have Real Estate to sell, I will assist you through the process with an accurate Competitive Market Analysis that will price your property to sell without giving away your hard earned dollars! I will insure all disclosures are properly completed to protect you. My comprehensive marketing plan will get your property SOLD! Please call me direct at (563) 650-9597. 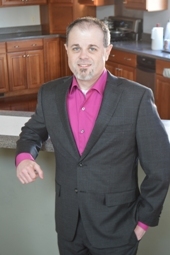 "I don't think you could find a more knowledgeable, informative, caring REALTOR anywhere. Lucky was there to help us no matter what time of day or night. I can't say enough good about Lucky. We will always use him for any real estate transaction and recommend him highly."